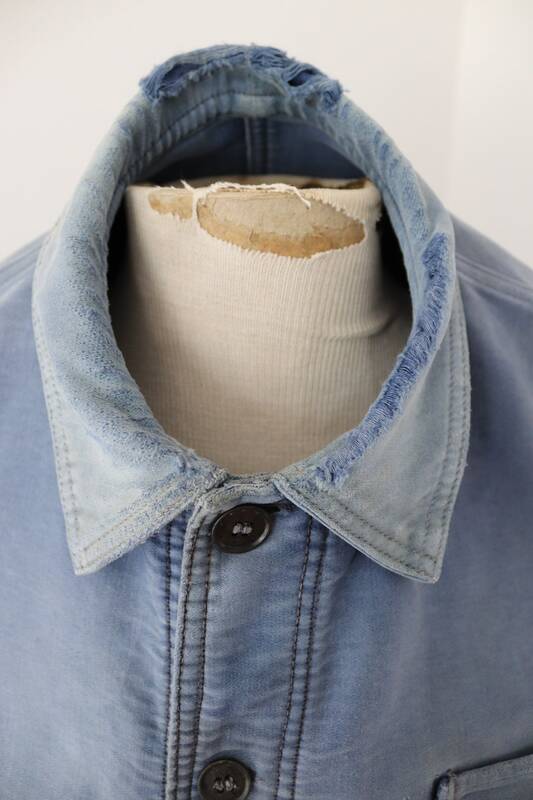 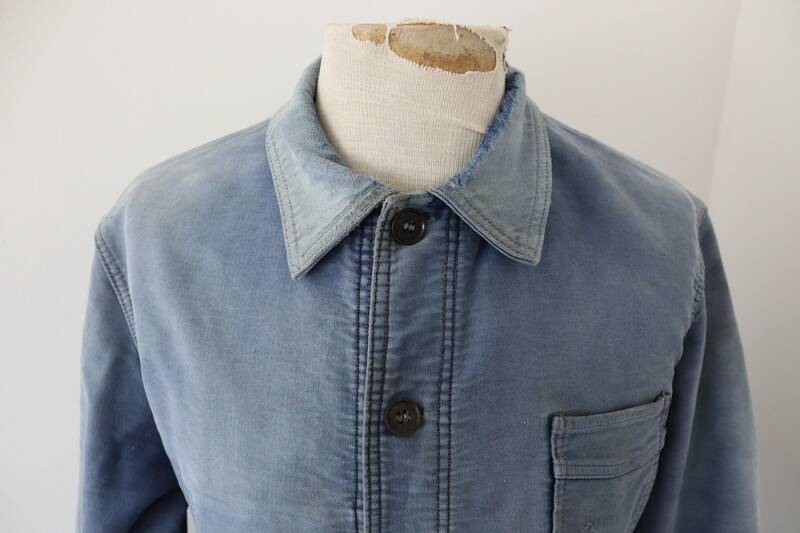 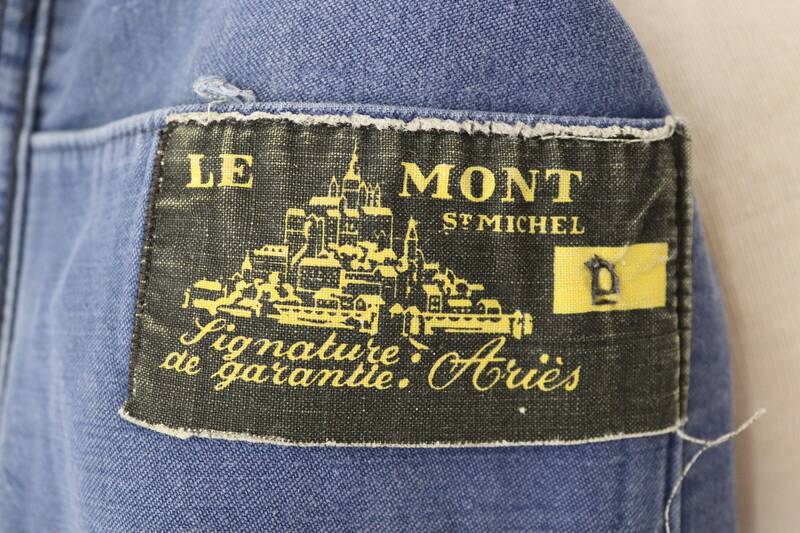 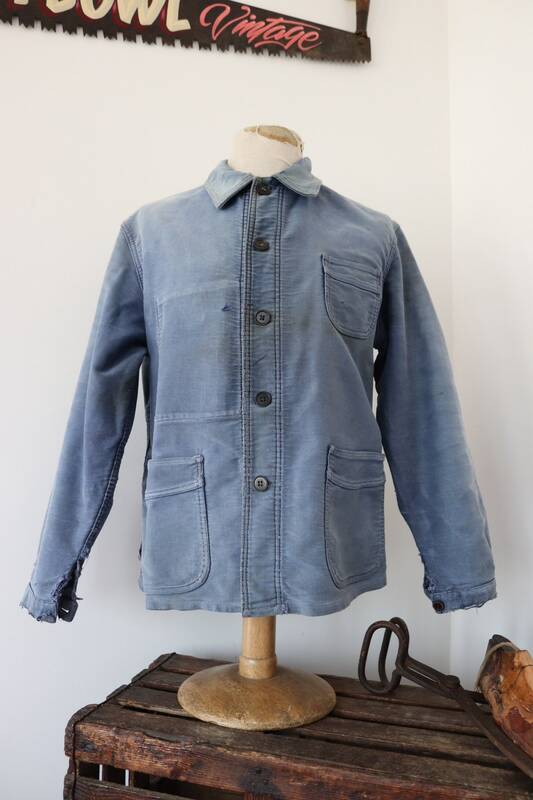 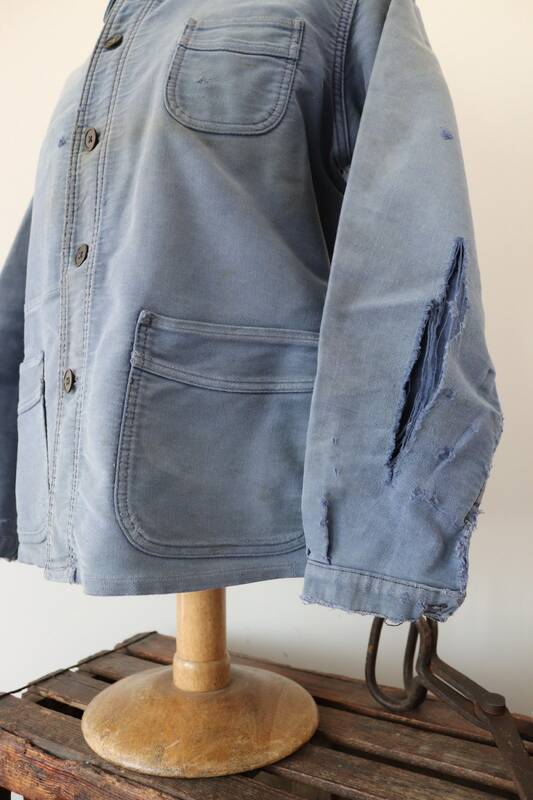 A blue moleskin work jacket by classic French brand Le Mont St Michel. 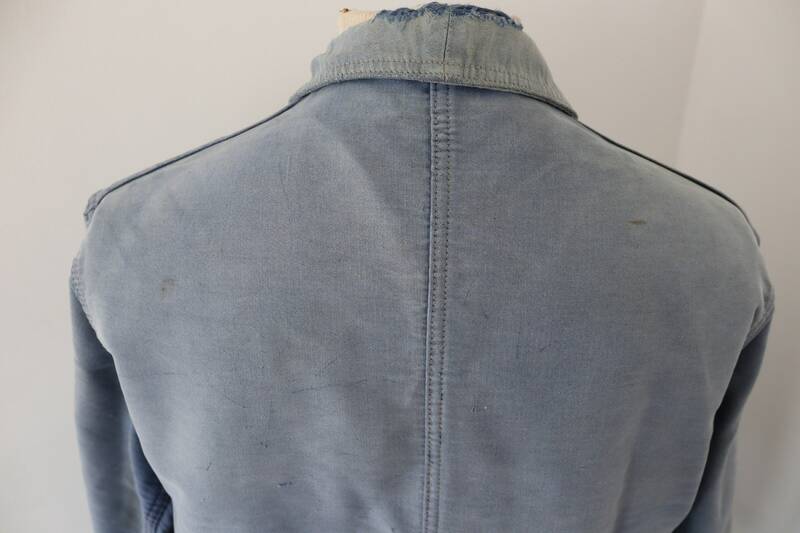 Noted flaws - light marks throughout, frayed at the collar and cuff edges, 8" fray on the back of the left forearm - please see photos. 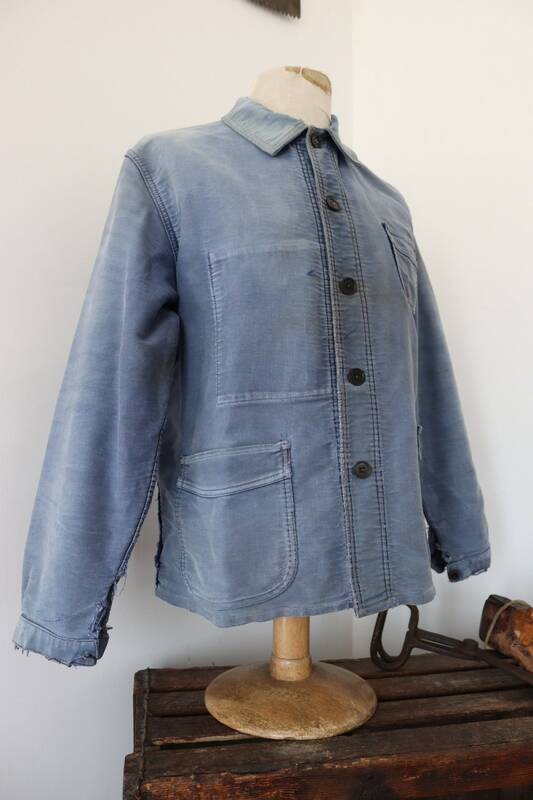 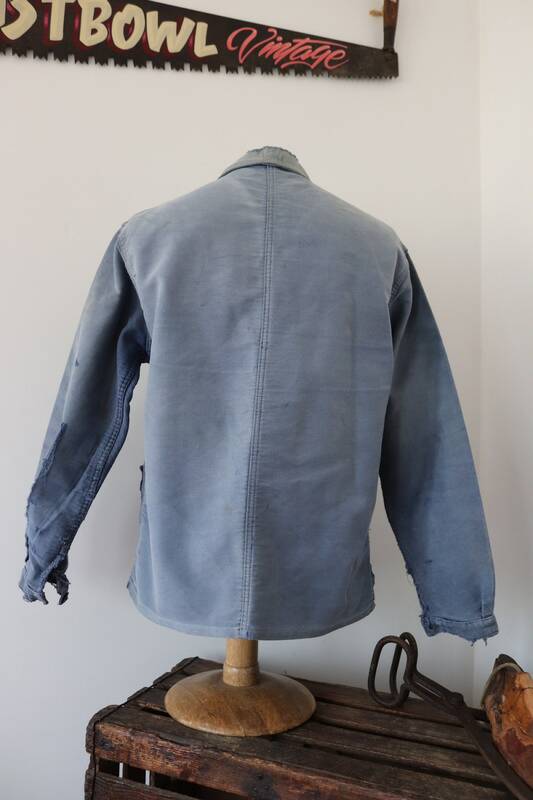 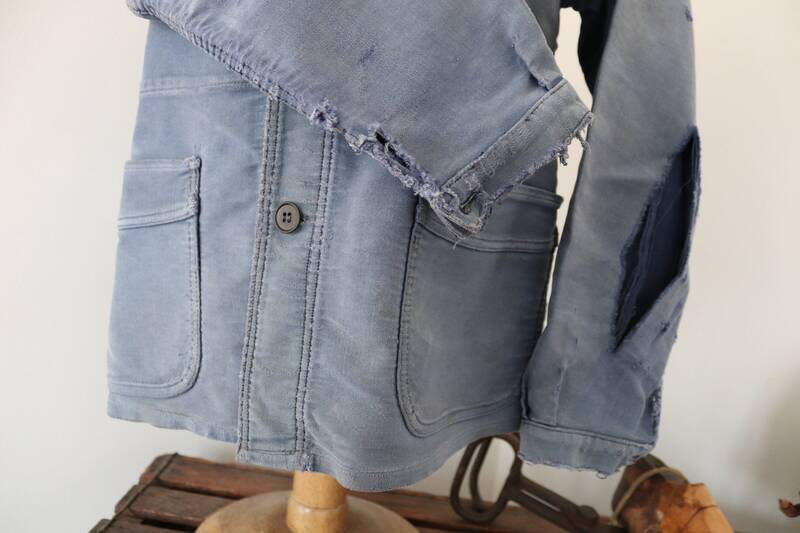 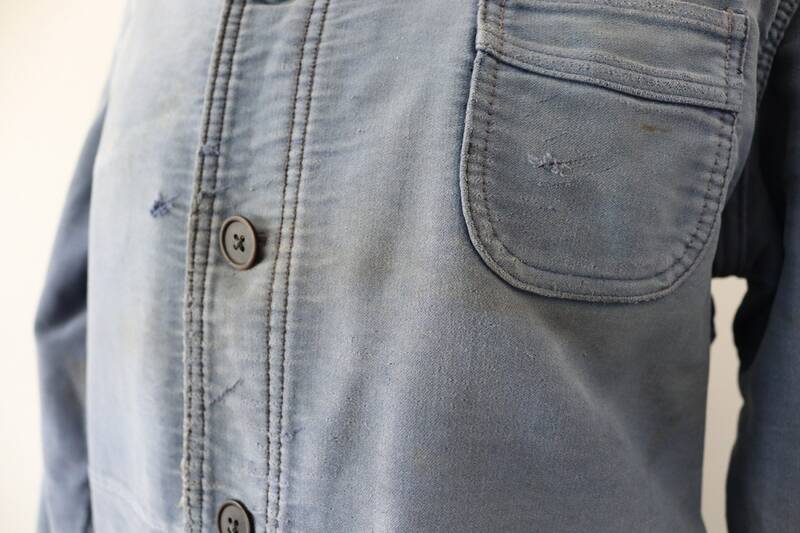 Classic French moleskin jacket, perfect for a visible repair project, thick fabric, great quality.